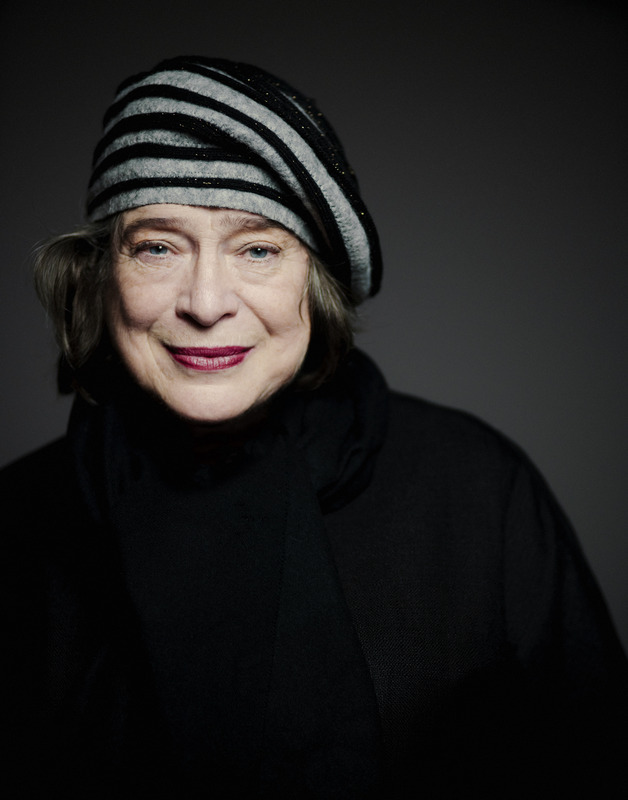 For decades now, Elisabeth Leonskaja has been among the most celebrated pianists of our time. In a world dominated by the media, Elisabeth Leonskaja has remained true to herself and to her music, and in doing so, is following in the footsteps of the great Russian musicians of the Soviet era, such as David Oistrakh, Sviatoslav Richter and Emil Gilels, who never wavered in their focus on the quintessence of music despite working in a very difficult political environment. Her almost legendary modesty still makes her somewhat media-shy today. Yet as soon as she walks out on the stage, audiences can sense the force behind the fact that music is and always has been her life’s work. Born in Tbilisi, Georgia, to a Russian family, she was regarded as a child prodigy and gave her first concerts as early as age 11. Her exceptional talent soon brought her to study at the Moscow Conservatory. While still a student at the Conservatory, she won prizes in the prestigious Enescu, Marguerite Long and Queen Elizabeth international piano competitions. Elisabeth Leonskaja’s musical development was shaped or influenced to a decisive degree by her collaboration with Sviatoslav Richter. The master recognized her exceptional talent and fostered her development not only through teaching and giving her advice, but also by inviting her to play numerous duets with him. A memorable musical event! The musical partnership and personal friendship between Sviatoslav Richter and Elisabeth Leonskaja endured until Richter’s death in the year 1997. In 1978 Elisabeth Leonskaja left the Soviet Union and made her new home in Vienna. Her sensational performance at the Salzburg Festival in 1979 marked the beginning of her steadily blossoming career as a concert pianist in the west. Elisabeth Leonskaja has appeared as a soloist with virtually all the leading orchestras in the world, such as the New York Philharmonic, the Los Angeles Philharmonic Orchestra, the Cleveland Orchestra, the London Philharmonic Orchestra, the Royal Philharmonic Orchestra, the BBC Symphony Orchestra London, the Zurich Tonhalle Orchestra, the Berlin Philharmonic Orchestra, the Gewandhausorchester Leipzig, the radio orchestras of Hamburg, Cologne and Munich, the Czech Philharmonic Orchestra and many others, under the baton of such leading conductors as: Kurt Masur, Sir Colin Davis, Christoph Eschenbach, Christoph von Dohnanyi, Kurt Sanderling, Maris Jansons, Yuri Temirkanov, Tugan Sokhiev, and many others. Elisabeth Leonskaja is a frequent and welcomed guest at prestigious summer music festivals, such as the Salzburg Festival, the Vienna and Lucerne Festivals, the Schleswig-Holstein Festival, the Schubertiade in Hohenems and Schwarzenberg, and she also gives recitals in the Piano Series in the world's major musical centers, such as Berlin, Paris, Madrid, Barcelona, London, Edinburgh, Munich, and Vienna. Despite her busy schedule as a soloist, chamber music has always played a prominent role in her creative work, and she frequently appears with the Emerson, Borodin and Artemis Quartets. Numerous recordings bear testimony to the outstanding artistic achievements of this pianist and she has been awarded prizes such as the Caecilia Prize for her Brahms piano sonatas, or the Diapason d´Or for her recordings of works by Liszt. Other significant recordings include the Tchaikovsky Piano Concertos with the New York Philharmonic Orchestra under Kurt Masur, the Chopin Piano Concertos with the Czech Philharmonic Orchestra under Vladimir Ashkenazy, and the Shostakovich Piano Concertos with the Saint Paul Chamber Orchestra. Her newest CD "PARIS" with works by Ravel, Debussy and Enescu was released by the Berlin-based Label eaSonus and was awarded Solo CD of the year 2014 at the ICMA prizes. A complete-recording of the Schubert Sonatas will follow, also due to be released on eaSonus. In her adopted home, the Republic of Austria, Elisabeth Leonskaja’s outstanding achievements have also gained her great recognition. She has been made an Honorary Member of the Konzerthaus of Vienna. In 2006, she was awarded the Austrian Cross of Honor, First Class, for her services to the cultural life of the country – the highest award of its kind in Austria. Today the “Lioness of the Keyboard” has matured into an exceptional pianist, one who is above emphasizing her virtuosity and who enjoys the warmest of receptions wherever she appears. "Le chemin de Leonskaja est un chemin de cimes. Par le dépassement de soi, l´exigence, la passion et l´intelligence, elle se place au rang des plus grands, non seulement d’aujourd´hui mais de l´époque: au rang d´une Clara Haskil, d’un Lipatti, la modernité en plus". "Elisabeth Leonskaja’s journey leads from one pinnacle to another. By constantly excelling herself, driven by her own personal demands, by her passion and her intelligence she has scaled the heights achieved only by the greatest, not just of today, but of an entire epoch: those of a Clara Haskil, a Lipatti, and of modernity to boot ".